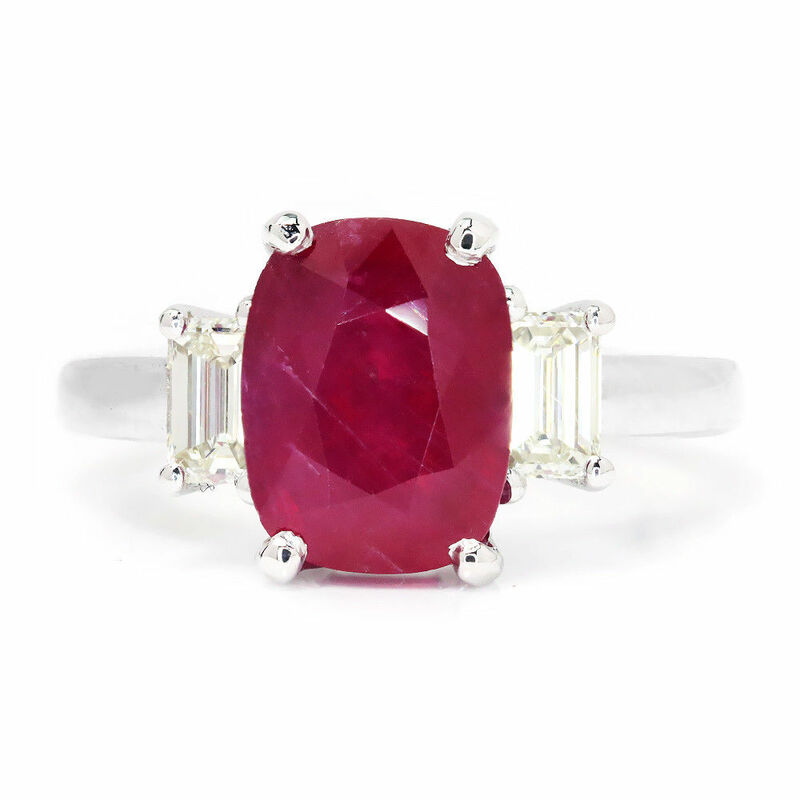 This bold and gorgeous 3 stone ring features a lovely example of the July birthstone: the Ruby. 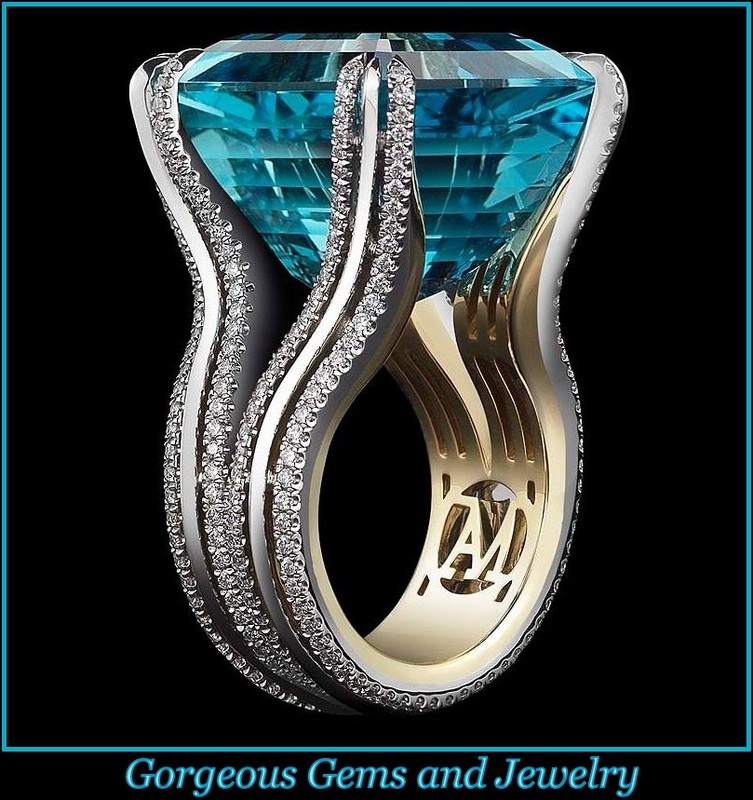 The precious gemstone is oval cut, weighs 3.48 carats and is perfect for this setting as it stands in stark contrast to the diamonds and 18kt white gold setting and its shape stands out nicely against the sharp angles of the baguette diamonds flanking it. The ruby displays the most beautiful purplish red hue and you can see natural striations within the ruby. The diamonds weigh about .25 carats each and are J-K in color and VS1-VS2 in clarity. The ring weighs 5.4 grams.